Variable spring weather here in Sooke, beautiful sunny day today, but we've had sleet, rain, and wind. This time of year, the only constant is change ... but we enjoy the nice days when they come. A few crabbers today on the Rotary Pier in Sooke, enjoying the sun. Here's David Louie from Duncan, sanding a carving while he waits for his crab pot to fill. You can check out his carvings at the Whale's Tail shop in town. There have been some good salmon fishing reports this week, with limit catches of feeder springs, plus the odd nice-size hatchery keeper up to 15 pounds. 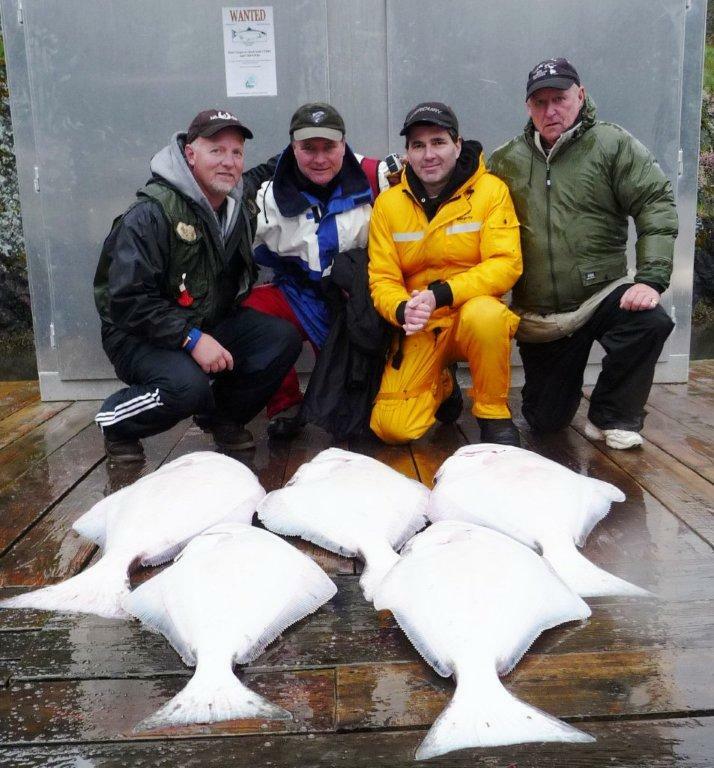 Halibut fishing remains steady. 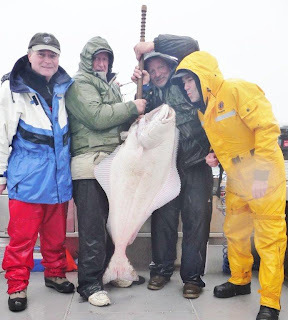 The fishing photos are some happy halibut hunters, fishing with Trevor from No Bananas Charters -- showing you can have fun in the pouring rain. They got rewarded with a great catch of fish in the 50lb range. All of the fish were caught on salmon bellies. This crew also had some great salmon fishing just had trouble getting them in the boat. Now known as the "Soggy Boys" ... but all in good fun.